I absolutely adore bath bombs. I recently decided to treat myself and splurge on some lush bath bombs. It cost me a pretty penny, though it was fun to bring them on vacation. They seemed like such complicated products, and I thought they would be hard to make myself. After some googling and much research, I was delighted to learn they could easily be made at home! 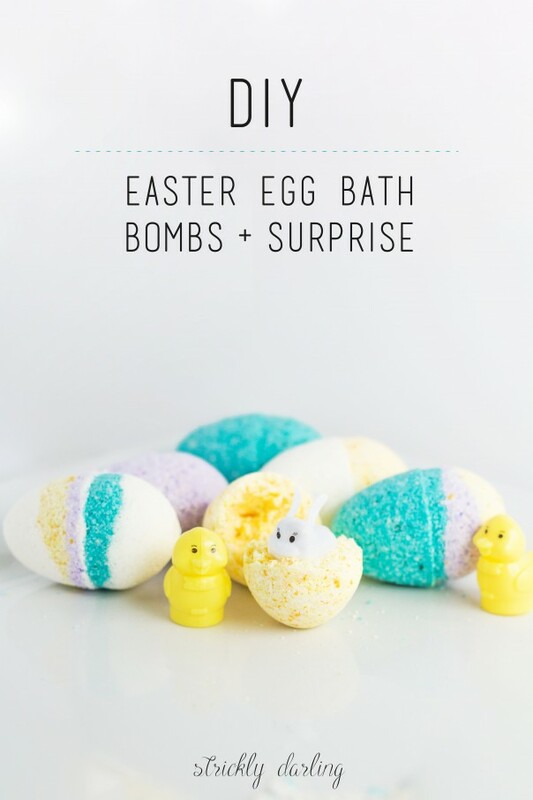 The ingredients for bath bombs can be found at most grocery stores. Citric acid can sometimes be a little tough to find, though my grocery store sells it in small quantities in the baking aisle. I ended up buying a bulk amount of citric acid online, as I wanted to make a large amount of bath bombs. 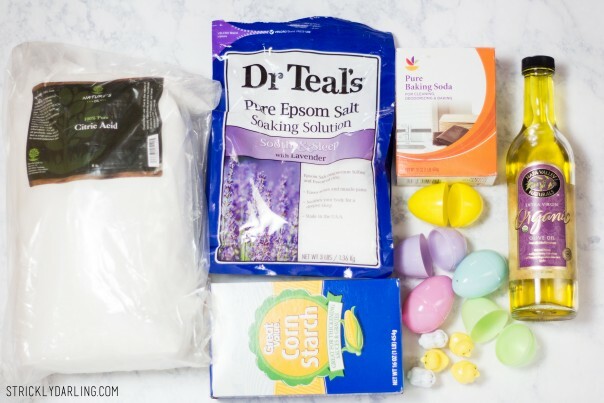 Epsom salt can be exchanged for any sea salt, though I found a big bag of lavender scented Epsom salts in the beauty section at the grocery store. My store carries essential oils as well, though if yours doesn’t, most craft stores sell them. As for the molds, I picked up some plastic Easter eggs at the craft store. I’ve heard that dollar stores carry them as well, so be sure to check that out! If you’re wanting a traditional bath bomb shape, you can use plastic ornaments, soap molds, or metal molds found online. Bath toy/Small chick or bunny for a fun surprise! 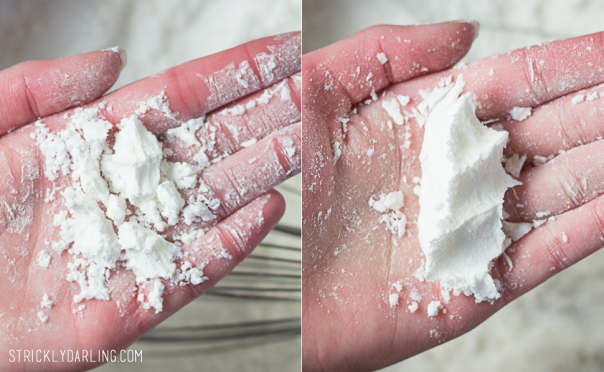 Begin by combining the baking soda, citric acid, cornstarch, and epsom salt. Mix all the clumps out. You want a nice and smooth mixture. 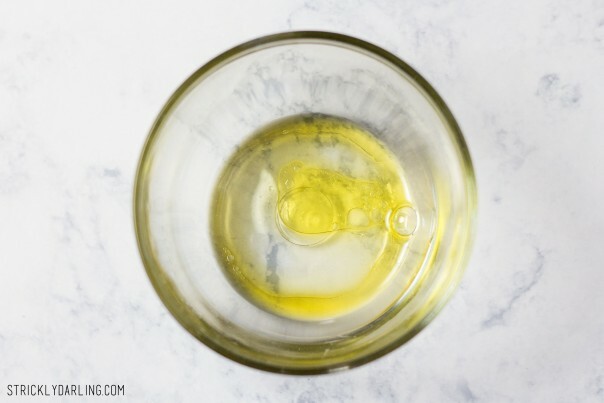 In a separate bowl, mix together the olive oil, essential oil, water, and food coloring. I wanted to make a few different colors, so I waited to add the food coloring until I could evenly divide everything. If you wait to add the food coloring, keep out some of the water and mix it with the food coloring. This will help it to evenly mix in, and not clump so easily. VERY SLOWLY, pour the wet mixture into the dry ingredients. If it starts to fizz, you’re adding it in too fast. Take your time, as this is the most important step. Once it’s completely combined, check the consistency. When you squeeze it in your hand, you want it to stay together. In the picture on the left, it’s not holding well. If this is like yours, add more water, a little bit at a time, until it holds like the picture on the right. If you’ve already added your food coloring, you’re ready to move onto the next step. If not, divide up your mixture and add in your chosen colors. If you’re able to get your hands on some powder food coloring, definitely go with that. If not (like me), slowly and carefully add your food coloring. 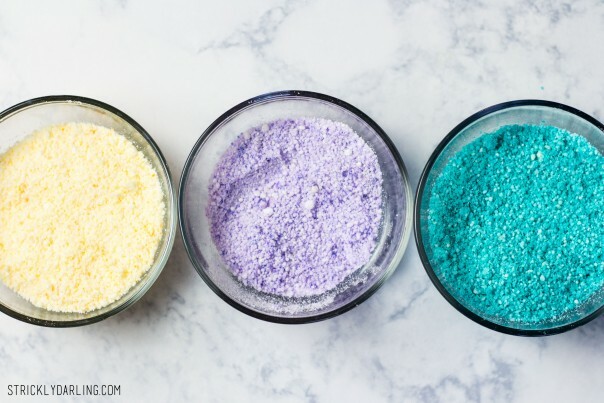 Once your bath bomb mixture is completely combined, you’re ready to add it to the molds! If you’re feeling creative, add a few different colors to create fun patterns. If you’re adding a little surprise inside like I did, don’t fill the molds completely, as you won’t have room for your toy. I burrowed mine in, then covered it with more of the mixture before closing up the mold. For extra security, I taped around the outside of the eggs. 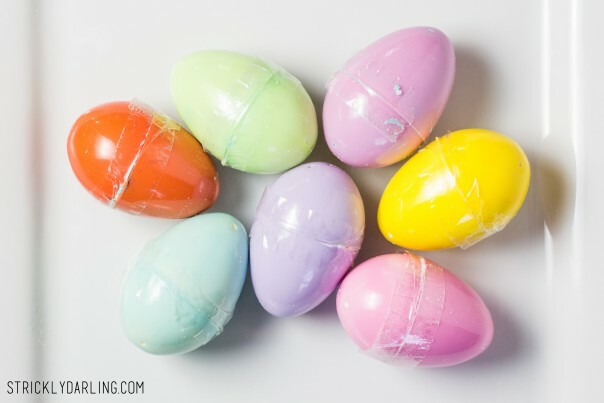 They weren’t the most stable of plastic eggs, so better safe than sorry. 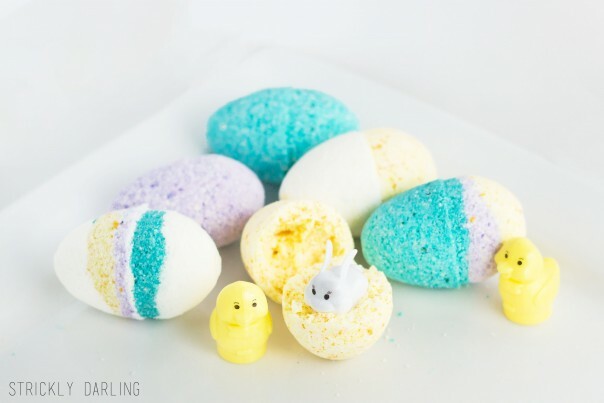 Let your bath bombs dry for 2 hours before un-molding, then leave them out to dry completely for at least 24 hours. Fill up your bathtub with warm water, then sit back and relax while your bath bombs fizz around you! For more DIYs, check out Strickly Darling!